Trey Bowland is a Knoxville native who is grateful for the opportunity to return to his hometown to practice family medicine. A graduate of Christian Academy of Knoxville, he received his undergraduate degree in Nutrition and Food Science with a degree in Dietetics from The University of Kentucky. While there, he lettered in football for the Wildcats earning 3 bowl championships. He then attended Lincoln Memorial University Debusk College of Osteopathic Medicine to complete his training as a Physician Assistant. 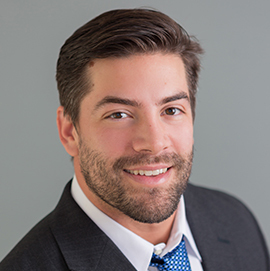 Trey enjoys the variety of what comes with family medicine and has a particular interest in sports medicine, diabetes, and teaching others how to achieve healthier lifestyle modifications. Trey is excited to bring his wife to this wonderful community who is a native of Lexington, Kentucky and cheered for the Volunteers. When he is not busy seeing patients, he can usually be found working out, playing golf, attending football games, and relaxing with friends.